What are the Signs, Symptoms, and Treatment Options for Abusing Bath Salts? Synthetic cathinone products are marketed as “bath salts.” These are man-made stimulants chemically derived from the khat plant, a shrub native to East Africa and southern Arabia. The leaves of the khat plant are chewed for their mild, stimulant effects. But synthetic versions of the khat plant, known as cathinone, can be lethal when inhaled, swallowed, snorted, or injected. Bath salts are referred to as “new psychoactive substances,” or NPS. NPS is unregulated, mind-altering substances with no legitimate medical purposes. Unfortunately, bath salts and other NPS products are put onto the market faster than law enforcement can address the manufacture and sale of these products, with devastating consequences. In 2011, there were more than 23,000 ER visits related to bath salts. The following article will explore the signs, symptoms, and treatment methods for bath salt abuse. Bath salts usually come in a brown or white crystal or powder form and can be swallowed, injected, snorted, or smoked. Bath salts are sold in plastic or foil packets and are sometimes labeled as “jewelry cleaner,” “plant food,” or “phone screen cleaner.” By marking the products this way, the manufacturers can avoid detection from law enforcement. The most common method of taking bath salts is through nasal insufflation. Users will dip a regular house key or a car key into the powder form of the drug. They will snort the powder from off the key. This process is referred to as “keying.” A single gram of bath salt powder will give a person anywhere from 5 to 8 “keys” of bath salts. Snorting bath salts can lead to a host of problems, including nose bleeds, sinusitis, or a perforated septum in extreme cases. Bath salts raise dopamine and serotonin levels in the brain. These neurotransmitters are responsible for feelings of joy, alertness, and energy. Dopamine and serotonin also play an integral role in risk-and-reward behaviors. When someone abuses bath salts, they significantly increase the levels of these neurotransmitters in the brain. A high from bath salts can last between three and four hours. Once a person stops taking bath salts, serotonin and dopamine levels crash. As a result, symptoms of depression can manifest. A person may feel down, lethargic, and have trouble concentrating during an episode of depression. Untreated depression can also increase the risk of suicidal thoughts and suicide attempts. It’s vital that people who are withdrawing from bath salts are monitored for these effects. Bath salts can also cause dangerous side effects, including increased blood pressure, heart rate, and chest pains. 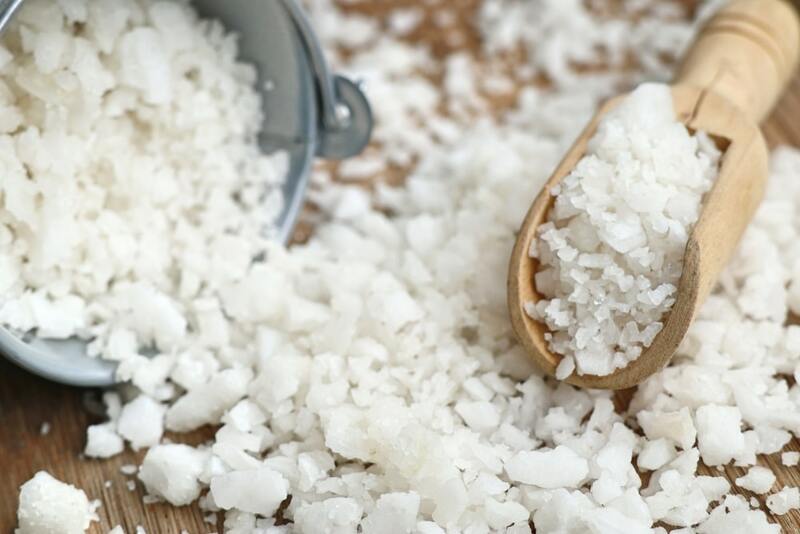 Chronic bath salt abuse can lead dehydration, kidney failure, and the breakdown of skeletal muscle tissues. Snorting or injecting bath salts come with higher risks of these dangerous side effects. Who is most at-risk of abusing bath salts? Bath salts are commonly used by people between the ages of 20 and 29. Polydrug abusers, however, are at higher risk of fatally overdosing on bath salts. What are the signs of bath salt abuse? How is bath salt addiction treated? Bath salts are extremely toxic and can cause severe mental and physical health problems. For a person to recover from bath salt addiction, they will need to withdraw from the drugs safely. Depending on the severity of a person’s addiction, they can detox at an inpatient rehabilitation facility or an outpatient facility. At an inpatient facility, patients are monitored 24/7 by medical staff and counselors. Outpatient programs enable people to stay at home, but periodically check in to a drug rehabilitation center. Severe addiction, however, will require a stay at an inpatient center, or possibly a stay in a medical detox center. Patients suffering from severe addiction can experience intense withdrawal symptoms that can be potentially deadly, and also increase the risk of a relapse. Once patients have safely and fully detoxed from bath salts, they can begin more intensive work in therapy and 12-step programs for addiction. In many cases, people who become addicted to drugs or alcohol use these substances to cope with stress, mental health conditions, or other traumas. During rehabilitation and therapy, patients can explore the deeper reasons behind their addiction. With a therapist’s help, they can find their unique stressors and triggers and learn valuable, positive coping mechanisms for dealing with them, that doesn’t include turning to drugs or alcohol. Some patients may also suffer from a comorbid mental health condition. People with untreated mental health conditions are at risk of abusing drugs like bath salts to alleviate psychological distress. During rehab, these comorbid issues can be addressed and treated. If you or a loved one are suffering from a bath salt addiction, it’s never too late to get help. Please reach out to a qualified drug abuse counselor to explore your treatment options for addiction.